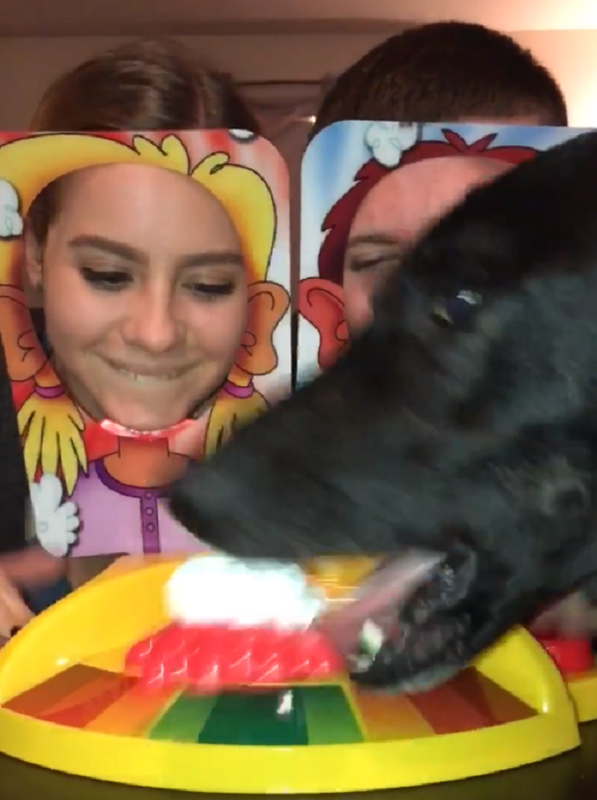 Teen’s Game Of Pie Face Has The Funniest & Sweetest Ending Ever. It’s all fun and games until someone takes a pie to the face. 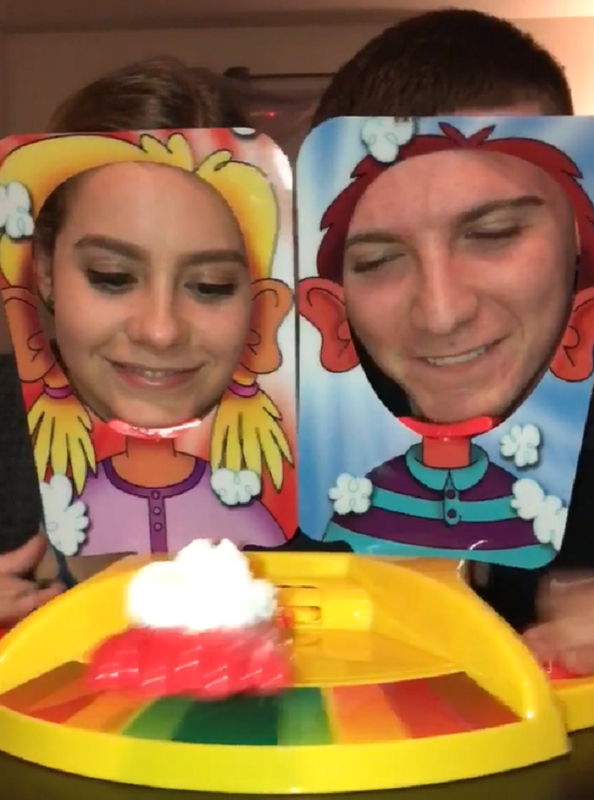 Teenagers Taylor and Nick were playing Hasbro’s Pie Face, a game that pits two competitors against one another in the funniest way possible. Each player puts their face inside a hole in the game board. A hefty dollop of whipped cream is placed on a moving lever, and the players must mash their buttons as fast as they can in order to avoid taking the whipped cream to the face. Taylor and Nick set up a camera in the family’s living room to record the moment that one of them got “creamed,” but they didn’t expect an uninvited contestant to wander in and steal the show. As the two kids bang on their buttons, the lever holding the whipped cream begins to move bit by bit until it’s squarely in front of Nick. 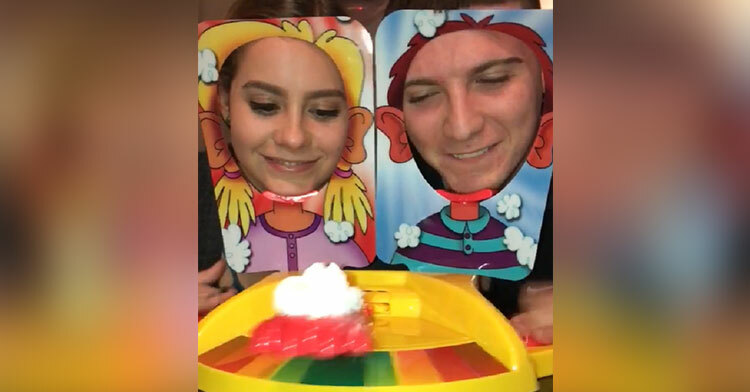 Just when we think the device is about to snap shut and catapult whipped cream into Nick’s face, player 3 enters the game. YOINK! You weren’t gonna eat that, were you? The family dog simply couldn’t resist sneaking in there and grabbing that glob of whipped cream! The look on Taylor’s face has us cracking up as she realizes what’s happening mere inches from her nose. This video makes us literally laugh out loud. It’s just so surprising, yet when you think about dogs… it’s not really unexpected at all! What a funny pooch they’ve got there. We hope they gave him another squirt or two of the good stuff as thanks for making our day. 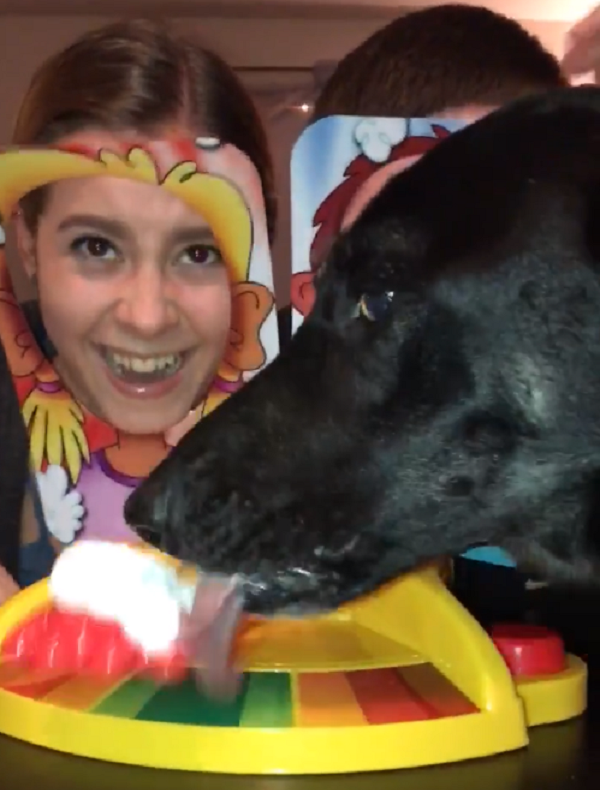 Watch the dog snag the prize in Pie Face in the video below, and be sure to share to make someone smile today.